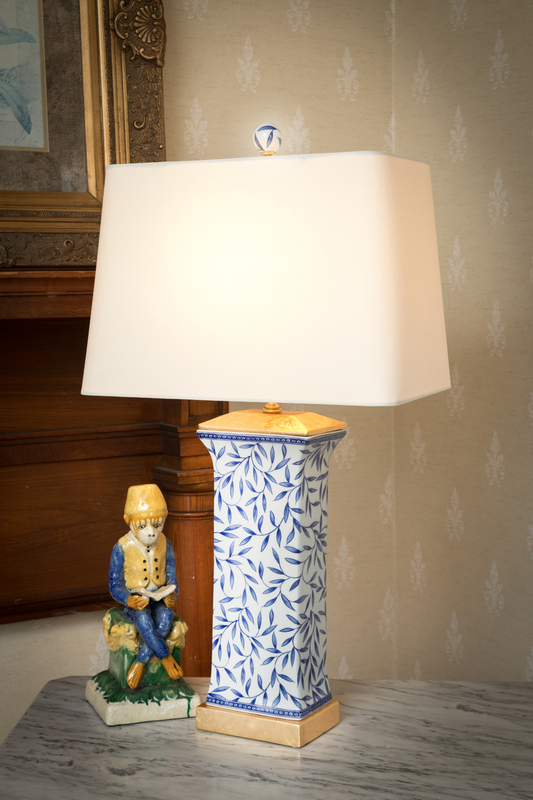 Don’t forget your lamps and chandeliers when you are decorating this Holiday season! 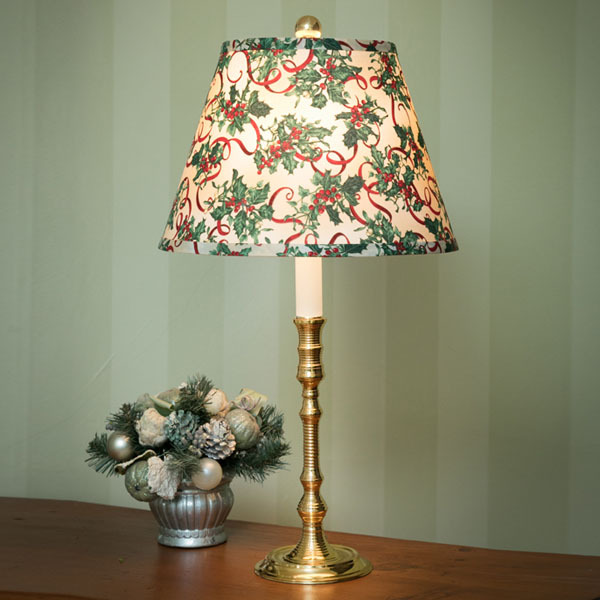 As part of your seasonal décor consider substituting a holiday themed shade for one of your table lamp shades or chandelier shades. 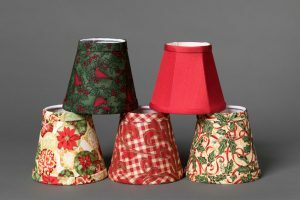 We offer hardback shades ( fabric laminated on vinyl) in a range of Christmas holiday fabric designs: holly, Santas, Christmas tree balls, red & green plaids, red/gold check, red cardinals, and more. Also, we have solid red and gold silk softback shades for your chandelier. 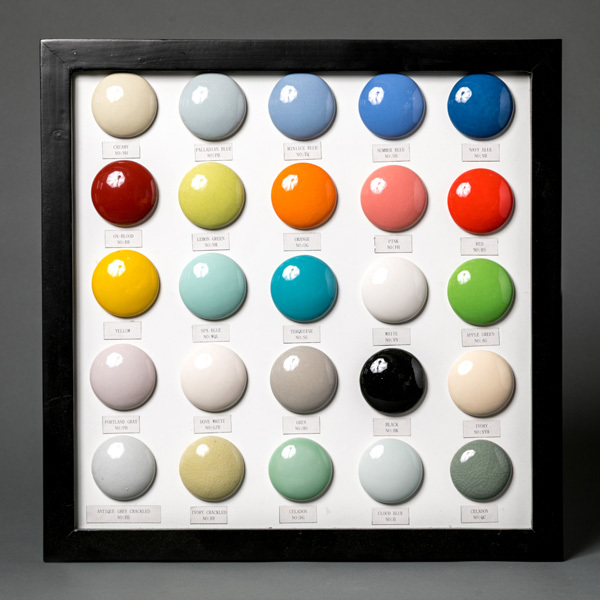 Some seasonal shades we have in-stock. Otherwise ordering time is 3-4 weeks. 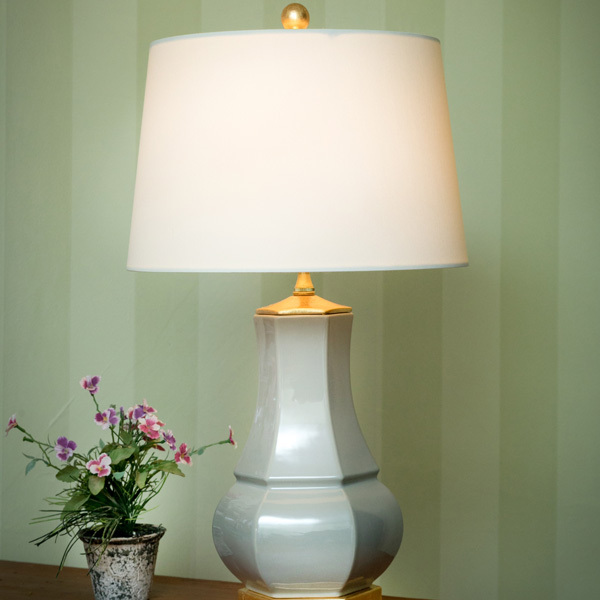 My mother, Anne, was a collector of table or “boudoir” glass lamps from the 1930’s-1950’s. 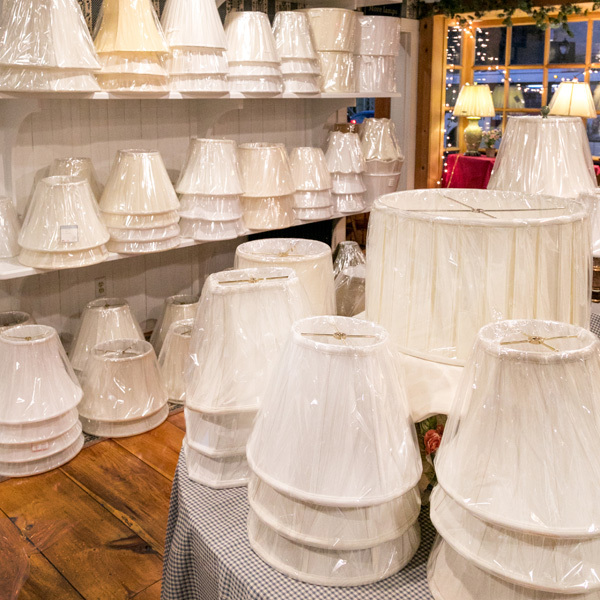 Recently, I harvested numerous of these gems, restoring them into sparkling new lamps with all new electrical parts. 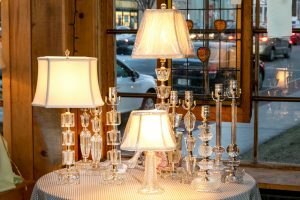 You can select from an assortment of shade styles and glass/crystal finials to customize and complete the look you prefer. Just back from the High Point, NC Home Furnishing Show! Spent the weekend in mid- April walking miles of showroom floors at the country’s largest home furnishings trade show in High Point, NC. It was my 18th trip since 1989 at this show which still does not disappoint. It’s a great overview of what’s trending in all aspects of home décor. A few highlights: brass is now really back replacing nickel as the dominant metal color. Gold leaf was prevalent for use in accessories and in my business for lamp bases. Color themes: blue & white and neutral colors are still very popular. For the first time in a long time, pink appeared in a number of vendor’s lines. But for me one of the most interesting sites was a very large advertisement on the front of the largest trade building which read, “Williamsburg: Trend Meets Tradition” with fourteen prominent home décor companies listed as partnering with Colonial Williamsburg in their designs and styles…… what is old is becoming new again with a twist!